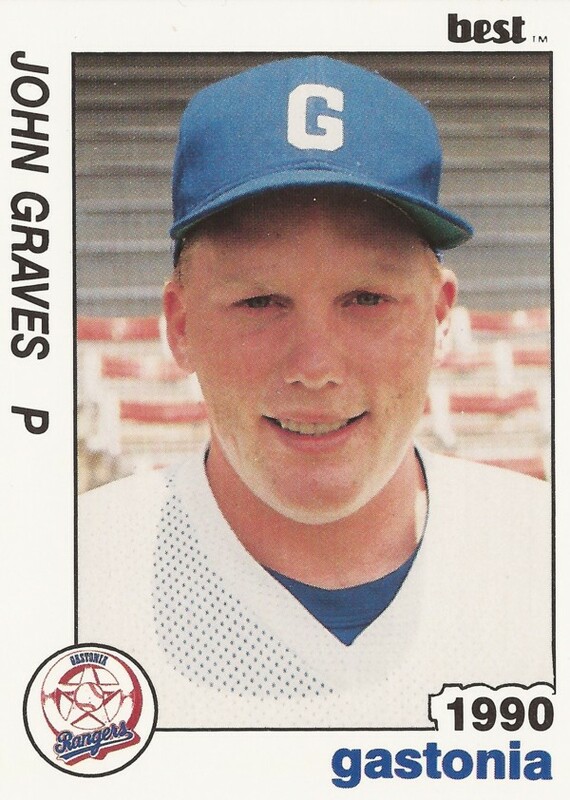 John Graves earned the save on this night in April 1990. He worked the eighth and ninth innings for single-A Gastonia. He gave up a single hit and no runs, preserving a 5-4 Gastonia win, according to The Sumter Item. Graves saved that game in his second season as a pro. It would also be his final season as a pro. He didn't return for a third. Graves' brief career began in 1989, taken by the Rangers in the 39th round of the draft out of Oklahoma City University in Oklahoma. Graves started with the Rangers at rookie Butte. In 26 appearances, one start, he went 4-3, with a 2.96 ERA. He also saved four games. In a July game for Butte, Graves helped finish off a shutout, Butte beating Salt Lake 5-0. Graves moved to Gastonia for 1990. That May, he and his teammates had to deal with the passing of fellow relief pitcher Ronaldo Romero. "I've lost a good friend, but God has his ways of dealing with things," Graves told The Oklahoman after Romero's passing. "I guess it was just his time to go see Him." In 33 relief outings that year, Graves went 3-5 and had a good 2.01 ERA. He also saved 14. Despite the numbers, it was Graves' final season as a pro.